The Manokwari District Government, West Papua, considers the level of vulnerability of the disaster in responding to the proposed expansion of villages in the area. 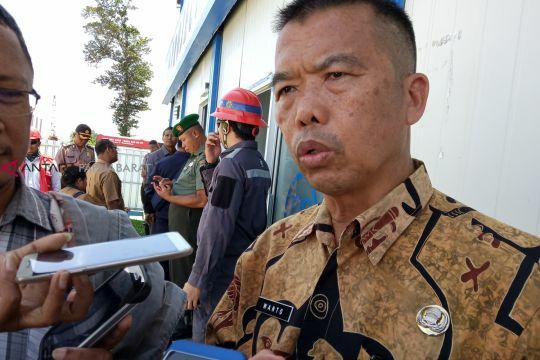 Assistant I for Government in the Manokwari Regency Regional Secretariat, Wanto, said Tuesday that pemekaran must consider sustainability, efficiency, security and safety. “This is an important aspect, not until later after the village develops, natural disasters occur. It is not just material losses that we take into account but also the human soul,” he said again. He revealed, at this time there had been a proposal of 500 new villages in Manokwari. Proposals are evenly distributed in nine districts / sub-districts in the area. At present, he said, the Regency Government has formed a team that will carry out verification of village candidates proposed by the community. Each village candidate will be portrayed to find out, the area, topographical conditions to the total population. “So the proposal cannot be immediately granted. We carry out it according to the rules, so that later there are no problems that arise,” said Wanto again. Besides aspects of the vulnerability of disasters such as landslides and floods, continued Wanto, the Regency Government also considered the status of the area and the customary rights of the location of the village candidates. This is to ensure that in the future there will be no conflict of customary rights. “It must be clear, do not let the village stand on someone else’s land. This can trigger problems,” he said. Regarding village expansion, he said, the West Papua Provincial Government had issued a moratorium policy or a temporary termination of the proposed expansion of villages, villages and districts. The Manokwari Regency Government has received a letter from the West Papua Provincial Government regarding the moratorium. “Essentially the team will work selectively. All proposals will be assessed from all aspects according to the rules,” he concluded.